A twenty-six-word parade of hope: beginning with God, ending with life, and urging us to do the same. Brief enough to write on a napkin or memorize in a moment, yet solid enough to weather two thousand years of storms and questions. "For God so loved the world that he gave his one and only Son, that whoever believes in him shall not perish, but have eternal life. 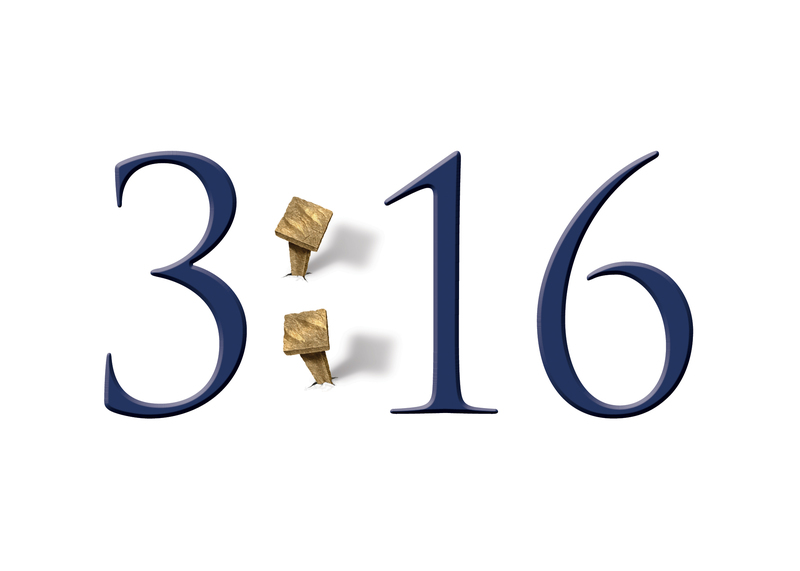 Download Chapter 1 of 3:16, the Numbers of Hope from the PDF attached to this page.